I would like to take a moment to thank those of you who have reached out, offered support and expressed sympathy to me during the death of my mom. The compassion, understanding and level of forgiveness I have received warms my heart beyond words. I want to especially thank the ICF Minnesota Board. When I agreed to take on the role of president, I had no way of knowing my mom would pass on during my term. I also had no way of knowing that the board would be there to support me emotionally in the way that they have. It is truly one of the most beautiful things that have come out of serving as president. I’m trying to express to those of you whom may be considering becoming involved on a great level, is that being a part of an organization, and serving others often provides benefits that we cannot place any type of value on. This is my unplanned pitch for board recruitment. There are still a couple of positions on the board as well as committee openings. If you are looking for a rewarding, challenging, growth opportunity and a way to serve, contact either myself our president-elect Trish Perry. Either of us will be happy to chat with you. Now, on to what I intended to write about. Membership. One of ICF Minnesota’s focus areas this year is membership. Membership engagement, retention and growth. It is the reason we have changed the structure of the meetings and programming. It is our effort to listen to what you were saying in the survey we administered last year. I am excited to say we have data to back up our changes. We just received notification from ICF Global this past week and I want to share it with you; primarily because I am proud of ICF Minnesota and all of the work we have done. I believe it speaks to how much ICF Minnesota members value their membership. As of a couple weeks ago, ICF Minnesota was at 74.60 percent retention rate. That compares to ICF Global being at 67.15 percent. ICF Minnesota and ICF Global are cover very different demographics, so to give us a bit more of an ‘apples to apples’ comparison, global also shared our retention rate in comparison to other chapters of similar size in North America. That data is as follows: the three other ICF Chapters in North America that are at or close to our Chapter’s membership range have the following retention rates, 69.55 percent, 70.45 percent, 62.29 percent. We are leading our size chapter in North America! I wanted to share that data primarily because it is you, our members that are making our chapter strong. Thank you all for your engagement, contributions and support in making ICF Minnesota great! Each year, the ICF Minnesota Chapter presents the Gaston Award to honor one coach who demonstrates servant leadership in the field of coaching. The 2018 Gaston Award coach and past Gaston recipients will be honored at our special event on Tuesday, September 18th, at 6 pm at the Metropolitan Ballroom in Minneapolis. You can nominate someone you think has made an outstanding contribution to coaching and the coaching community by clicking here for the 2018 Gaston Award Nomination Form. The deadline for nominations is July 15, 2018. For more infomation, go to our Gaston Award website page. - Demonstrates clear and strong leadership for the advancement of the coaching profession. - Demonstrates integrity through professionalism and selfless service. - Has been an active member of ICF Minnesota for three or more years and continues to contribute uniquely to ICF Minnesota’s growth. Every success story starts with a dream or idea – to make improvements, to create new products or processes, to serve an unmet need or support a cause. Ideas spark innovation and lead to new products and services, advances in science, technology, arts, literature and social change. The process of successfully making a dream become reality encompasses four major steps – dream, act, grow and persevere. Our team of coaches report their coachees are receiving huge insights, progressing through issues, and busting patterns that have long been in the way. Coachee goals are in place to strengthen communication and decision making, as well as improve rapport with supervisors. And the ripple effects are being reported by those who work closely with our coachees and can feel the changes. Our project team is looking forward to completion in August, and we anticipate hearing and sharing stories from both coaches and coachees at that time. We would like to express our appreciation to all coaches and volunteers involved! And a good-bye for now/bon voyage to co-Project Manager, John Owens, who leaves to work in India! For more information about Ignite and this project please see Neighborhood House, http://foundationoficf.org/home/ignite/, or February's Catalyst. For questions or further information, you can contact members of the core leadership team: Christine Schwebel Chris@Tsoulnami.com, and Joan Haan joan@joanhaan.com. Relationship Systems Coaching is different from individual coaching. A system is composed of many parts, yet the sum is greater than those parts. The parts are always in an interdependent relationship with other parts around a common goal or task. It is complex and self-regulating. Relationship systems have a natural drive toward evolution and/or resolution. For this reason the Relationship Systems Coach has one primary job: to reveal the system to itself. By helping the system to see itself — its strengths, its obstacles, its potential — the coach can create the ground conditions for the system to find its own answers. This session will discuss Relationship Systems Coaching and how it can be used with teams, partnerships, couples and individuals. Together we will cover some tools and techniques to help you to reveal the system to itself with your coaching clients. Provide an understanding of the foundational elements of Relationship Systems Coaching in order to work with clients from a systems perspective. Increase awareness of the impact of revealing the system to itself during coaching teams, partnerships, couples and individuals. Learn skills to apply Relationship Systems Coaching in your coaching practice. Floyd Carlson, certified coach in Organization and Relationship Systems Coaching (ORSC) from CRR Global, helps teams, business partners and couples reenergize their relationships and support for each other. Carlson coaches Executives and individuals as part of his current position as the Director of Talent Management & Acquisition for Greenheck, a leading North American manufacturing company that designs and manufactures Heating Ventilation and Air Conditioning (HVAC) systems. Floyd has been leading teams for over 30 years, developing leadership skills in crises management, operations, strategy, information technology and leadership development. His sports and work experience has helped him to create and coach teams to overcome challenges and failure to deliver business innovation. He is the author of “Conscious Leadership in Action” ((Panoma Press, 2015). 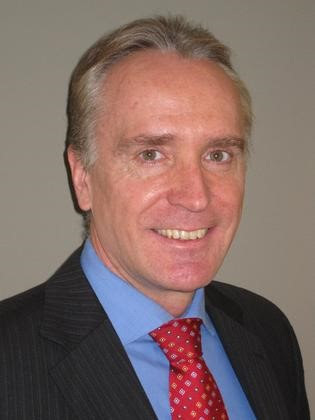 Prior to joining Greenheck, Carlson spent 14 years in Belgium with Cisco, where he led several cross-cultural teams focused on solving customers’ most important business problems for Europe, Middle East and Africa. Carlson has 13 years’ experience in the US Army and was an Airborne, Ranger, Infantry Officer, who served in Germany, Operation Desert Storm, and Panama and commanded two companies in the 101st Airborne Division. When it comes to leadership development, few tools are as powerful as coaching. Calculating the Return on Investment (ROI) on coaching is a different conversation. A conversation which drew over 75 coaching professionals to the ICF Minnesota’s event at the Metropolitan Ballroom to hear what three seasoned coaches had to say about why ROI matters and methods for measuring it. The coaching panel featured Judy Zimmer, founder and president of Coachology.us, a national coaching, branding and speaking company, Anne Marie Pernice, CPCC, PCC, of Medtronic, who helped build a global, scalable internal coaching practice, Tammy Krings, MCC, ECPC, President of The Conversations that Matter, that coaches around leadership development and helps teams align their behaviors, and Todd Eberhardt, CEO, Dynasty Leadership, who works with midsize companies in transition. A recent global survey by PriceWaterhouseCoopers and the Association Resource Centre found that the mean Return on Investment in coaching was 7 times the initial investment, and over a quarter of coaching clients reported a stunning ROI of 10 to 49 times the cost. But getting at the value is about more than the data and the money. Attendees could easily see why Judy Zimmer, a leader in her field, was asked to moderate this panel on ROI. She even incorporated ROI questions into the presentation so attendees could assess for themselves if the 90-minutes they spent at the International Coaching Federation (ICF) event was a good use of their time. Because each of the panelists coach a slightly different type of organization, the approach to ROI was slightly different. What is valuable to one company may not have the same value to the next, so even the ROI conversation is customized. Why is ROI so important today? The challenge is that everyone wants to measure ROI quickly. Our clients are evaluating us as coaches within the first 15 minutes, so coaches must begin the ROI conversation from their first interaction with clients. Eberhardt says he spends more time upfront assessing if the client and he are a good fit for each other. Every coach has different skills and sweet spots so the right match between a coach and an organization is a critical first step towards effectively measuring if you can create value together. In her experience as an internal coach, Pernice says, they are constantly reviewing and adjusting their measurement as they expand the internal coaching program deeper into the organization. Coaching directly supports the 5th Tenet of the Medtronic Mission which speaks to recognizing the personal worth of employees. They measure a lot of things and it has evolved over time. “We look at how these (measures) tie into what we want to achieve as a business.” At Medtronic, they have tied ROI to a few key elements 1) progress against stretch coaching goals, 2) leveraging existing organizational employee measurements and 3) leadership behavior expectations already established within the organization. 5) Begin with a baseline, regardless of what you decide to measure. 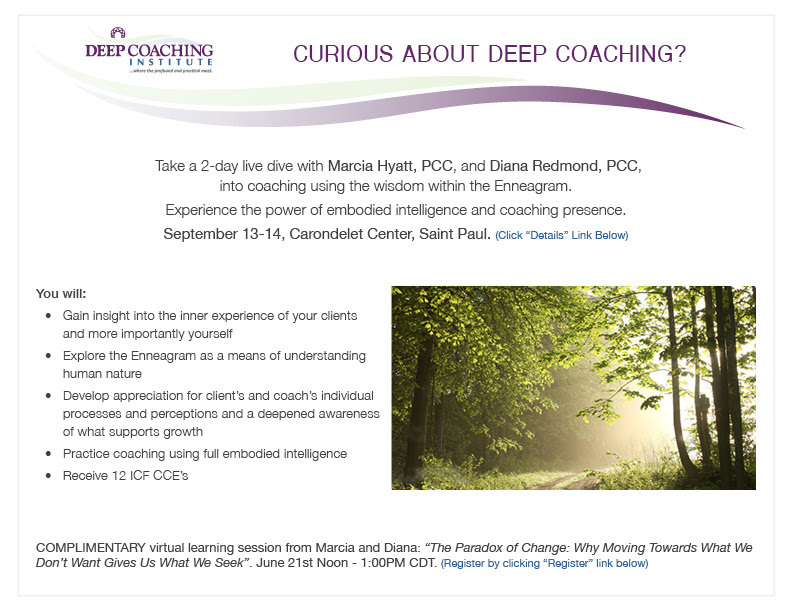 This event was presented by ICF Minnesota, a chapter of the International Coaching Federation (ICF), the largest worldwide resource for business and professional coaches and a source for those who are seeking a coach. 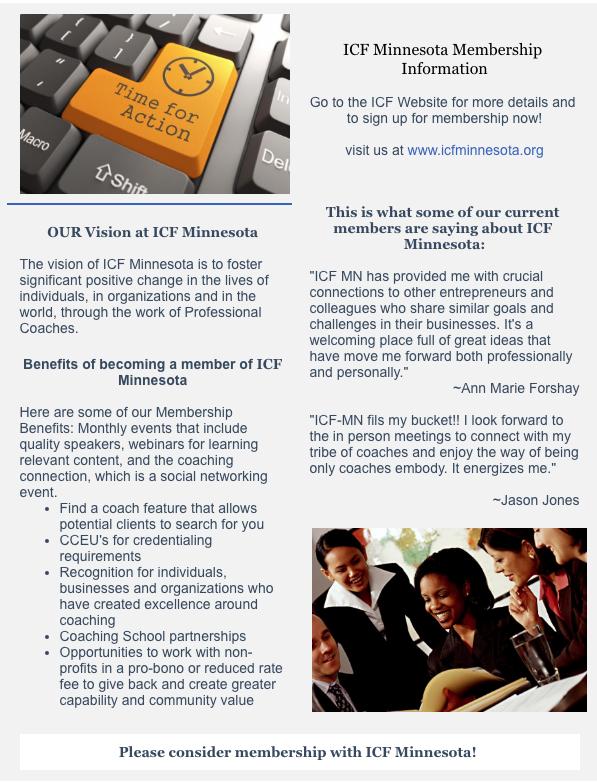 ICF Minnesota has monthly events supporting coaches through opportunities for learning, connections and growth. Our theme this year is Creating Connections in the City of Bridges. We are coming together in June at the Westin Hotel in the cultural district of Pittsburgh, Pennsylvania. Pittsburgh has an iconic history; home of Rosie the Riveter, Heinz everything, and Mr. Rogers. With Pittsburgh's culture, premiere sports teams, industries, diverse communities and thriving restaurant and tourist attractions, you will discover a new favorite place. We have designed into the program, time to relax, connect with other professional and take advantage of the city. There is still an opportunity to volunteer at the conference. When you volunteer, you expand your network with many leaders in our profession and make a difference in your coaching community. Please contactinfo@icf-midwest.comif interested in volunteering. More exciting news about the conference is coming soon so stay tuned! Do you have expertise and resources valuable to your professional colleagues? Do you want a chance to test your new ideas, practice your message, and share your proven approaches? 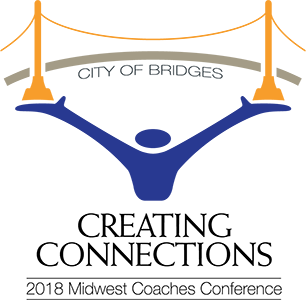 Review the Call for Presentations for the 2018 Midwest Region Coaches Conference: Creating Connections in the City of Bridges. Submit your proposal! We are looking for additional Program Committee members for the 2018 Midwest Region Coaches Conference in Pittsburgh. Please contact Diane Bickford at programs@icf-midwest.com if you are interested in getting involved. The popular series is now available OnDemand and will help you build, sustain and expand a successful coaching business. Four weeks of content, 14 sessions. Up to 14.25 Resource Development CCEs. To view the session descriptions, speaker bios, and to purchase, visit the BDS Webpage. It’s a must attend event if you are ready to play bigger. 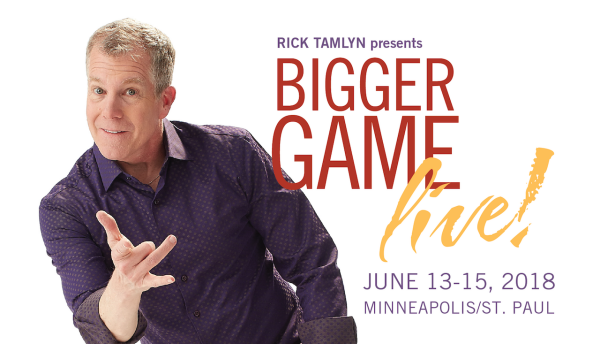 Join Hay House author and CTI senior trainer Rick Tamlyn at Bigger Game Live! It all starts with YOU and your commitment to yourself. Isn’t it time to make your dream – your Bigger Game – real? Join Rick and other like-minded entrepreneurs who are ready to play bigger and say goodbye to business as usual. Enroll now – and get a complimentary ticket to bring a friend for free. Being a member of ICF offers me the opportunity for certification by the industry professional standard bearer; being a member of ICF Minnesota connects me to my professional peers for networking and collaboration. Membership in both establishes me as “credible” and provides me opportunities to learn and grow. 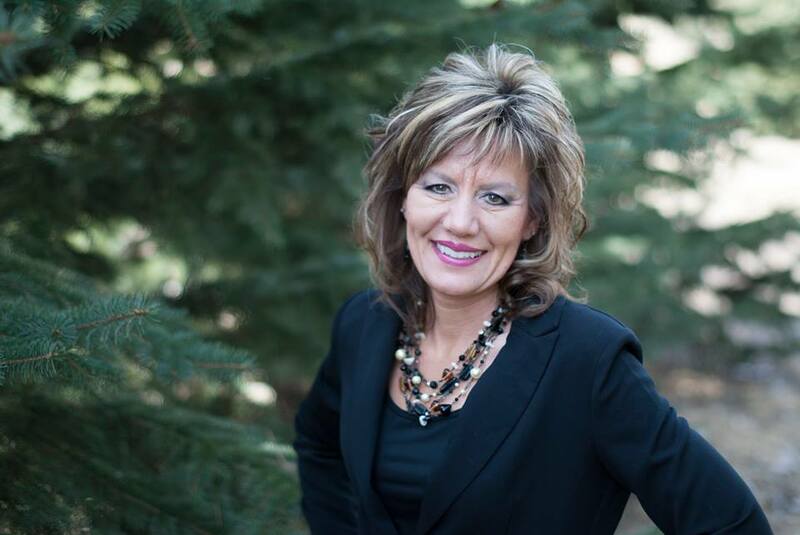 Being a member of ICF-Minnesota helps me continue to bring my 'best self' to my clients.